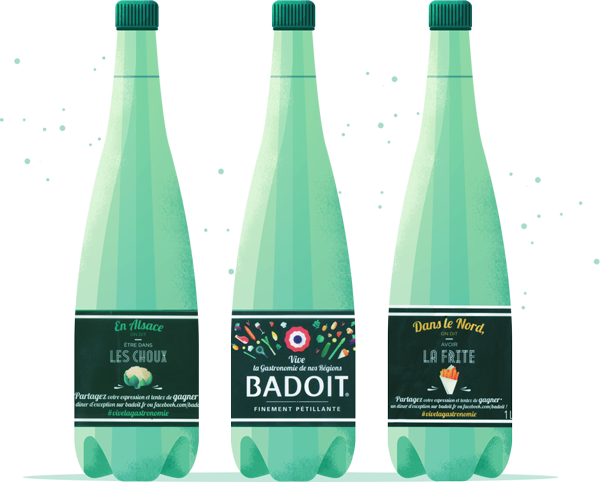 Maïté Franchi was commissioned by Badoit, a brand of French mineral water, to create illustrations that celebrate French gastronomy. The artwork is being used on the Badoit website for a game that associates the illustrated food with the player’s current mood. Maïté is represented by FolioArt. View more of her work through her Directory of Illustration portfolio, or at folioart.co.uk.